It had to be done someday; making a literal odyssey through the history of cinema and documenting it into a film. The traveller is Mark Cousins. 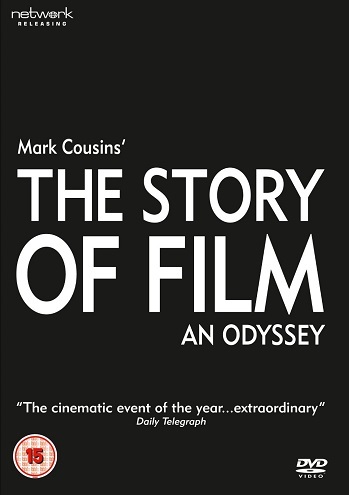 The film is a 15 hour documentary called ‘The Story of Film’. Through cinematic innovation, the story of film is told, from the silent era to the multimillion dollar digital age, covering all continents, major cinematic hallmarks and most talented people in cinema. In 1885 George Eastman of Kodak came up with the idea of film on a role. Then Edison figured that if you spin the images in a box you get the illusion of movement. Lumiere went on to invent the film projector and with that: Cinema! It is not difficult to imagine the excitement of those first screenings. When cinemas started appearing everywhere, it enabled people – who did not travel back then – to see other countries. Not just places, but other worlds. Like what the position of woman was in other countries. After the invention came the content. And despite of what many believe, it is not the money men that drive cinema. They can’t. Because what you need is the visual ideas, and a clear understanding of what is in people’s hearts. It is psychology that became the driving force of film if anything. Cousins continues to show us the birth of basic cinema language and techniques that are now common, such as editing, the close up, tracking shots and flashbacks. The road trip then takes us further to the places and the people that brought life to this sublime art form. In this period a lot was happening in Scandinavia. Maybe it was the Northern Light, Cousins comments. Or the sense of destiny and mortality in Scandinavian literature that made Danish and Swedish movies more graceful and honest. In 1906 the first feature film was shot in Australia: ‘The Story of the Kelly Gang’. The first feature film in Hollywood was ‘The Squaw Man’ (1914). In 1911 the first movie studio was build. Another interesting thing about this period was that a lot of women were working in Hollywood writing and directing, such as Lois Weber and Alice Guy. They did not always get the credits though. In Hollywood, cinema became big business in this period (and a men’s world as well). The 1920s saw the birth of an industry in Hollywood. 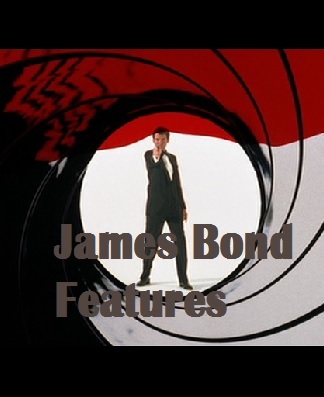 But the studio system did not get in the film, according to Stanley Donen (director ‘Singing in the Rain’). There were also rebels that emerged – like Orson Welles – that tried to break the bubble. In Europe, cinema developed also. Thematically, the city was often the Big Evil. Think for example ‘Metropolis’ and ‘Sunrise: A Song of Two Humans’. In Japan it was as if the Japanese filmmakers tried to compensate for the massacres their country caused by making very humanistic films. In 1921, the first great Japanese movie was made: ‘Souls on the Road’. A lot of innovations were introduced in the 1930s like sound and the use of two camera’s with overhead lighting. From Hollywood came horror movies like ‘Frankenstein’ which borrowed heavily from Germany (Der Golem). And the first gangster pictures appeared, which is an original American genre. The cartoon also arrived and was a very successful new genre. Mickey Mouse was a smash hit and in 1937 came the even more successful ‘Snow White and the Seven Dwarfs’. In Britain, the legendary Alfred Hitchcock started working. He understood the basic human emotion ‘fear’ like no other, and his films are still extremely influential to this day. The war years meant less glory, and more gloomy films. In Italy we witnessed the birth of neo realism. The sensational ‘The Bicycle Thieves’ (1939) is a movie that best illustrates this style. In 1941 came ‘Citizen Kane’ – a film that is still often considered by many as one of the greatest movies of all time. It used deep staging so audiences could choose where to look. This was previously used in films like ‘Gone With the Wind’ (1939) and ‘Stagecoach’ (1939), which Welles said to have seen 39 times. A dark genre arrived in Hollywood, called Film Noir. These films, such as ‘Double Indemnity’ usually had characters with flaws that drove them towards their faith, even while they tried to avoid it. The decade ended as depressing as it began with a massive communist hunt in Hollywood: the studios had to fire the (alleged) lefties. This is still a major trauma in Hollywood. In America in the fifties, we had the suburban, Christian society. But under the surface there was anger, frustration and tension. Classic films like ‘On the Waterfront’ (1954) and ‘Rebel Without a Cause’ (1955) best illustrate this. In Europe four legendary directors led the way in changing cinema. They were Jacques Tati, Robert Bresson, Ingmar Bergman and Federico Fellini, and they made films more personal and self aware than they had ever been. The era ended with the new wave to which French director Jean-Luc Godard belonged and in Italy Pier Paolo Pasolini. The later used religious music for everyday struggles. He felt consumerism was taking over. Sergio Leone made his first ‘spaghetti western’ (Italian made Western) and introduced deep focus, which was made possible by the Italian cinematic invention technoscope in 1960. This gives Leone’s movies an epic feel to them. Thematically, Leone was inspired by Japanese Master Akira Kurosawa (lone gunman / lone samurai). Filmmaking went global in the sixties. In Eastern Europe, directors like Roman Polanski and Milos Forman started their careers. In the Soviet Union, one of the greatest directors ever started working: Andrei Tarkovsky, who knew how to create remarkable imagery. 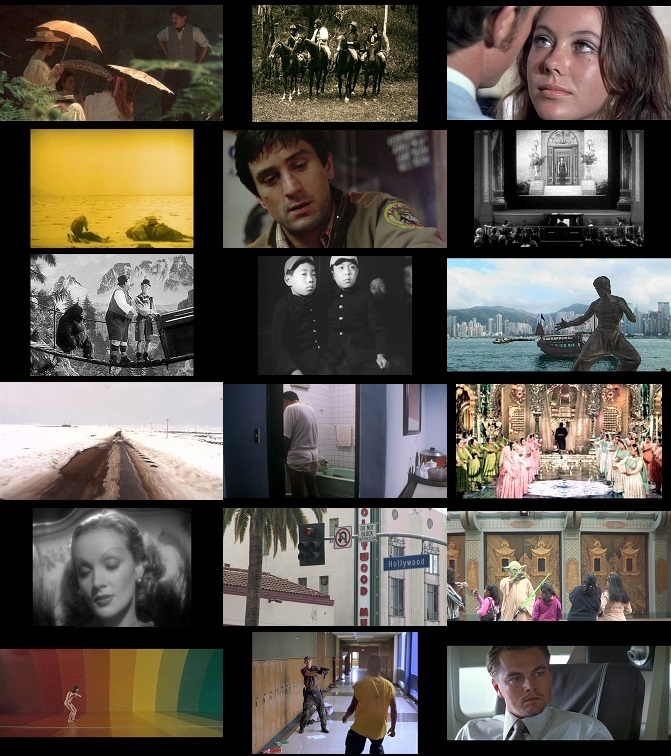 According to Tarkovsky: ‘Imagery contains an awareness of the infinite.’ Late sixties, film schools were popping up all around the USA and a new generation was on its way. After the realism in movies in the sixties, the seventies saw a return of old fashioned, romantic and entertaining cinema – and of the box office smash hits, think ‘Star Wars’, ‘The Exorcist’ and ‘Jaws’. ‘The Godfather’ was the return of an old Hollywood genre: the gangster film. New kids were fighting to open up new form, most notably Martin Scorsese with ‘Taxi Driver’ and ‘Mean Streets’. When people think of the seventies, they think about Spielberg, Lucas, Coppola and Scorsese. But there was more. In i.a. Britain and Italy, identity was a major theme. In Germany, Rainer Werner Fassbinder (woman in closed places) and Wim Wenders (men in open spaces) had their glory years. And Werner Herzog the explorer went across the world. 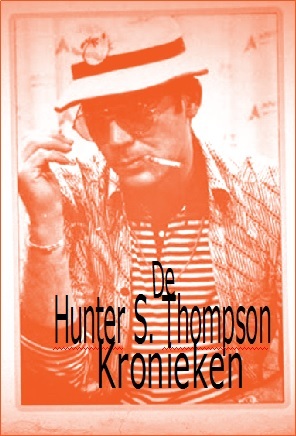 He was not so much interested in the feminism or Americana of his contemporaries, but in prime evil life. After John Ford, he is the most important landscape filmer in the history of film. The 70’s also saw the arrival of Asian mainstream, epic films from India (‘Sholay’) and a lot of cinematic activity in Africa. After the magnificent seventies came the not-so-great eighties. ‘Protest’ is the central theme of this decade. The 5th generation in China – Chen Kaige and Zhang Yimou – made interesting movies. From Russia came one of the greatest war movies: ‘Come and See’. In America, ‘Top Gun’ was a smash hit, and many movies were influenced by music video’s, like ‘Flashdance’. In France, filmmakers got more into popular culture, which was a protest in itself. Notable directors that moved up in the film world were David Lynch (with ‘Blue Velvet’) and David Cronenberg in Canada with ‘Videodrome’, a prophetic vision of the modern world in which the real and the televisual are dangerously confused. Described by Cousins as the last days of celluloid, before the coming of digital. And directors like Wong Kar Wai and Hou Hsiao-hsien used celluloid devotedly. The 90s saw passionate films about other worlds (‘The Matrix’), but also an obsession about reality, for example in the work of Iranian director Abbas Kiarostami who tried to eliminate all dolly’s and clapperboards from the set. From Japan came horror movies about the fear for technology, like ‘Tetsuo’ about a man blending with metal. In Copenhagen, filmmakers returned to primitive filmmaking with Dogma, while Hollywood saw the increasing use of digital effects (‘Terminator 2’ / ‘Gladiator’ / ‘Jurassic Park’). Not only what was in the camera changed, what happened in front of the camera changed as well. Modern became post-modern: The idea that there are no new truths and everything is recycled. Tarantino made this his trade, but respected established directors, like Scorsese, used it as well. Documentaries – like ‘Fahrenheit 9/11’ – did as well as blockbusters and blockbusters tried to be like documentaries. Innovative movies were made in the USA. Like ‘Requiem For a Dream’: The great distortion movie. The subconscious got at work in ‘Mulholland Drive’. And in Thailand: ‘Tropical Malady’, a film that changes from simplistic tale of friendship to the mythical story of the hunter and the hunted. The film reincarnates like its main character. Another innovative example is ‘Russian Ark’, which consists of one 90 minute long take showing Aristocrats walking downstairs in a massive palace towards the slaughter. And the future of cinema? Who knows. Perhaps one day we can share dreams like in ‘Inception’. One thing is for sure: Whatever form it may take, the art of cinema is here to stay and deserves to be celebrated likes this.